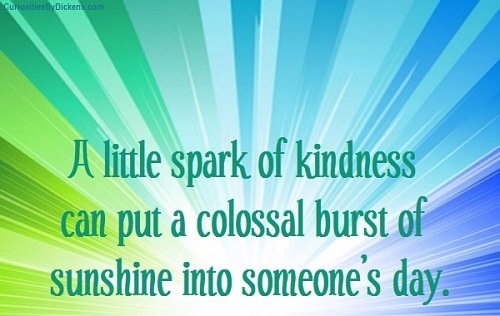 A kind word, a small act of kindness, or a passing smile may not seem like much, but sometimes it can brighten up someone’s day. 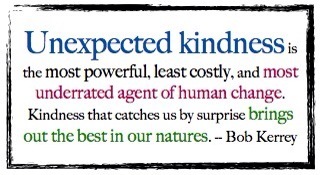 I know, I know, you already think I’m goofy, but I like to do little random acts of kindness whenever I can. I guess I’m just my mother’s daughter. I’ve learned from the master. Also, I don’t share these things with you because I’m looking for recognition or praise. I’m genuinely sharing some ideas with you, hoping that it may inspire you to give it a try. Maybe you already do, and I’d love to hear about it. Yesterday started out being a dark, gloomy, misty morning. I waited until the rain stopped later in the afternoon before I bundled up for my walk. It was still misting, but I put up my hood and ventured out for over an hour. I was about five blocks away when I noticed the mail lady making her appointed rounds. It was pretty chilly out. I gave her a wave and thought, “That must be a tedious, lonely, thankless job.” I remember meeting Miss Penny when I first moved in. She was very nice when I stopped to ask her something about forwarding my mail. When I got home from my walk and checked my mail box, it was still empty. I thought, “Hmm? 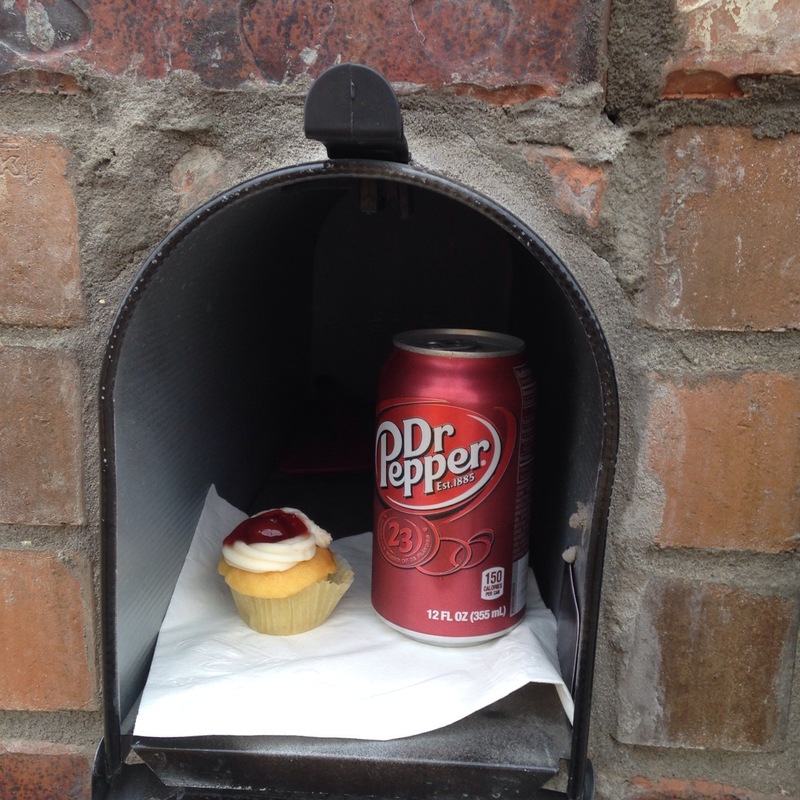 What can I do for Miss Penny?” So, I ran into the house, grabbed a Dr. Pepper from the fridge, took the last mini cupcake that I was saving for my late afternoon tea time, and scurried back out to the mail box. I left a note saying, “Miss Penny, I saw you while I was out walking and thought you could use a treat.” Here is what I found later when I got my mail. 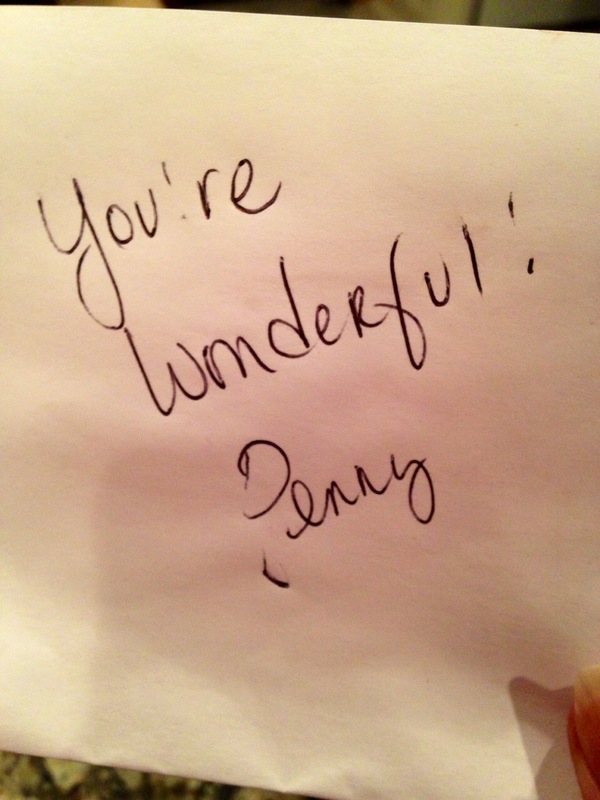 I think Miss Penny felt appreciated and perhaps this made her day a little brighter.